Does the Polaroid Mint Camera & Printer automatically print when you take a picture? Best Answer: As long as there is ZINK paper loaded into the camera, then every shot you take with the Polaroid Mint Camera & Printer is printed automatically. If you run out of paper, then your pictures won't print. However, they can be digitally stored if you have a microSD card inserted into the camera. So if there's paper loaded in, it'll just print automatically? That's correct. As long as there is ZINK paper loaded, specifically the 2 by 3-inch size it's compatible with, the Polaroid Mint Camera & Printer prints out every capture automatically. As you power the camera on, you'll see the LED flash ring light up to tell you that it's ready-to-go. When you press down on the shutter button to capture an image, the light ring starts to blink, letting you know that it was captured and the printing process is starting. When a photo prints, you'll start to hear the insides of the camera as everything goes into motion to activate the color crystals in the ZINK paper. The printed photo comes out from the bottom of the camera unit (works best in portrait mode like a smartphone), though the overall process will take a few moments. I found it a bit slower than I would like, especially compared to something like the Fujifilm Instax Mini 9. What happens if I don't have ZINK paper right now? If your Polaroid Mint does not have ZINK paper loaded in, then new photos you take with the camera won't print. However, you can save digital copies of your photos as long as you have inserted a microSD card (up to 256GB) into the appropriate slot along the side of the camera. Polaroid Mint Camera & Printer has a 16MP sensor, so you'll have crisp, detailed images when you use a computer to read the files on the microSD card. Unfortunately, even if you have a microSD card inserted, anything that gets saved digitally won't be able to get printed through the Polaroid Mint, because the printer only works for new shots. So if you prefer to have everything printed out when you shoot with the Polaroid Mint, then you should definitely have ZINK paper handy. What's so good about ZINK paper? ZINK stands for "Zero Ink" paper. That means there's no ink or toner used, and each sheet has color crystals that get activated during the printing process to create stunning and vibrant prints. Another great thing about ZINK paper is the fact that each sheet has a sticky back (just peel off the sheet on top of the adhesive), so you can easily display your photos in a scrapbook, album, school project, greeting card, or whatever. The Polaroid Mint is a great instant camera for those who like to create and capture spontaneous memories. The Polaroid Mint Camera & Printer is a fun way to capture spontaneous moments and preserve them forever. The camera itself is fairly durable and well-built, giving you three color options, frames, a timer, a selfie mirror with LED flash and ambient light sensing. You'll want to stock up on ZINK photo paper while using the Polaroid Mint. It uses zero ink so it's better for the environment, while still providing you with crystal clear images and vibrant colors. Each sheet is also sticky-backed, so you can stick it in scrapbooks, albums, greeting cards, and more. 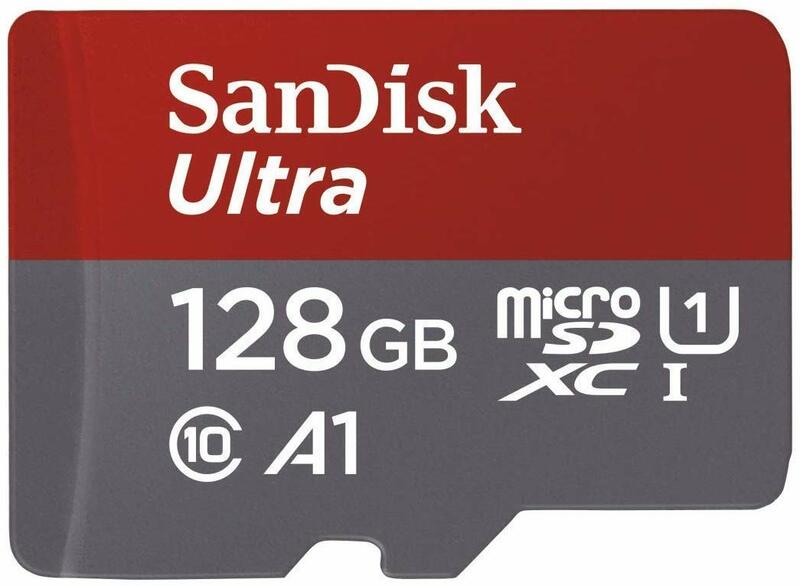 The SanDisk Ultra microSDXC card is a good option if you want a dependable microSD card. It comes in multiple sizes, starting from 8GB all the way up to 400GB (but the Polaroid Mint Camera & Printer only supports up to 256GB), and it's reasonably priced, all things considered.